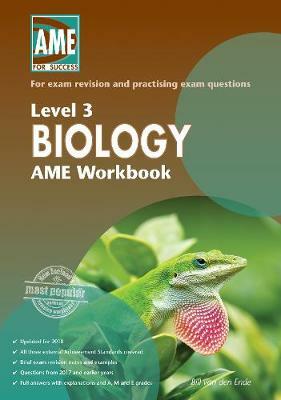 This workbook has brief exam revision notes for end-of-year study, with examples and NCEA exam questions from 2017 and earlier years. Full answers with explanations and A, M, and E grades are given. Use this workbook all year round or during Terms 3 and 4 to revise and practise e... read full description below. "Covers the three external Achievement Standards ... This workbook has brief exam revision notes for end-of-year study, with examples and NCEA exam questions from 2017 and earlier years. Full answers with explanations and A,M and E grades are given"--Back cover.